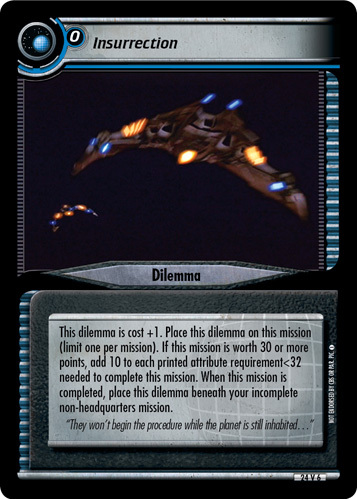 Unless you have 2 Navigation and Programming or Engineer and Cunning>40, your opponent may place this dilemma on one of your missions. 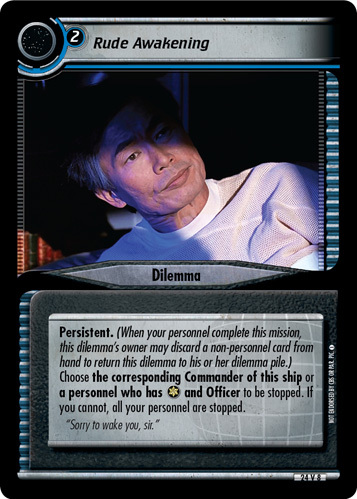 All your personnel are attributes -1. 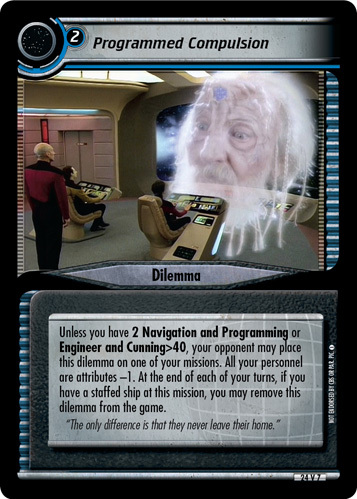 At the end of each of your turns, if you have a staffed ship at this mission, you may remove this dilemma from the game. "The only difference is that they never leave their home."